The marketplace is crowded, so if you understand how to instantly increase the perceived value of your offer, you’ll be better able to differentiate yourself from your competitors. Bob Britton got his start in business as an auto mechanic and he had an opportunity to buy an existing business. He figured owning a business couldn’t be that hard, so he jumped in, assuming he could do a better job than the people he had been working for. 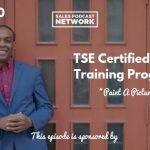 He endured a season of failure but eventually started to improve as he learned the sales game. He realized that auto repair involves selling something that no one wants to buy, that no one is prepared to buy, and that no one ever has the money to buy. He grew the business from a one-man show to a multi-million dollar business and then went on to other things. If you can’t clearly communicate your value and what sets you apart from everyone else, you’re competing constantly on price. It’s the only way people know how to measure. But if you’re a value proposition, people will focus less on price and more on what they’re getting. It’s up to business owners to figure out what those value propositions are. Begin by understanding what value really is. What you think is valuable is probably 27th on your prospect’s list of what’s valuable. Consider even the smallest thing that might be considered valuable. Look beyond the obvious things like saving time or money because everyone claims to offer those. Understand that perception is everything. When you’re creating your value proposition, if your prospect believes it’s important, it is. Perception is everything. That determines how we start. Begin by looking at the business drivers which are often saving money and making money. But drill down deeper. Why would a customer use your offer? What does the customer really care about? Think of things like operating cost, downtime, uptime, labor cost, customer retention, market share, productivity, profitability, time to market, lifetime customer value, and any number of other concerns. Too many salespeople “wing it” when it comes to this process. They don’t think about the questions they ask and they rely on general ones instead of working to be specific. People will give us a limited amount of time and effort. Ask specific questions that move people in a distinct direction. Many sellers will ask about concerns, but that’s too general. Limit the question instead. What is your number one concern? Being specific will give you a lot better information from the customer because they’ll talk about the thing that is top of mind. Then, flip that around. Ask your prospect the one thing that he hates about your industry. It takes some guts to ask this, but the information you get back will be the most valuable feedback you’ve ever gotten. 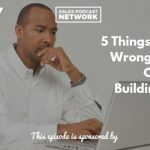 Bob asked people the number one thing they hated about auto repair on his way to building a million-dollar company. He used all that feedback to differentiate himself from his competition. Your clients can give you information that will help you tweak your business and increase your revenue. You won’t have to push harder. Your clients will give you a to-do list that will help you improve. Be willing to ask what your current clients dislike about working with your business. It will feel intimidating but they won’t crucify you. They’ll help you identify the things that are keeping them from buying more. You may not need to dump more money into your business. You may not need to increase your leads but rather to just improve your close rate. Once you’ve identified the business drivers, identify some sort of movement. People won’t change unless your offering is significantly better than the status quo. People don’t buy offers; they buy new things. What’s your movement? Increase, improve, accelerate, reduce, enhance, balance, free up, eliminate, minimize, revitalize, shrink, maximize. What kind of movement can you offer your clients? Then add metrics to your value proposal to make it stronger and more believable. Avoid using round numbers which sound less credible. When Bob was running the auto repair business, while everyone else was charging $87 an hour, he charged $98.68 an hour. When people asked how he came up with that number, he said that he figured out with his accountant the exact minimum he could charge to deliver the best service. It’s a psychological effort that will surprise your customers and shift their thinking. It will position you as different than everyone else. Do your homework. Don’t wing it because it won’t give you the results you desire. People may throw little tests out at you to see how you’ll respond. If you aren’t prepared, you’ll end up losing credibility because you don’t answer well. Business drivers, movement, and metrics are the three things that create a tremendous amount of value for your business. Do your homework. Position yourself as different, new, unique, and special. Be creative. The competition has never been greater and the market is shifting. 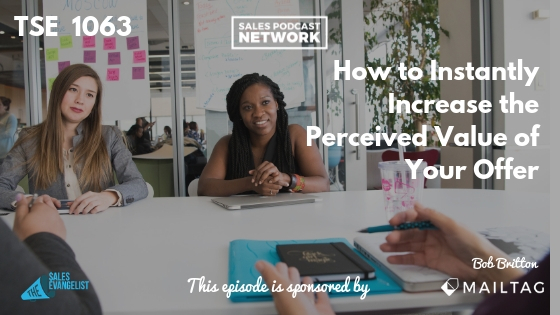 More people are becoming salespeople so you have to do everything you can to differentiate yourself. You can connect with Bob at his website, marketingautomationgroup.com and opt-in for a free 7-day course. He constantly produces new content designed to help you increase your perceived value.